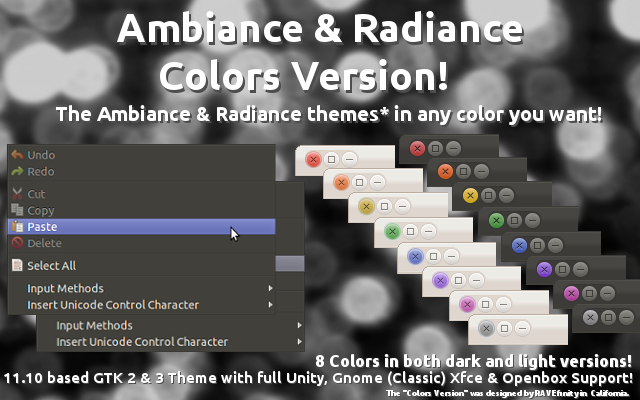 Ambiance & Radiance Colors is a theme pack that provides Ambiance and Radiance available in 8 different colors: red, orange (different from Ubuntu orange), yellow , green , blue , purple , graphite (grey) and pink. 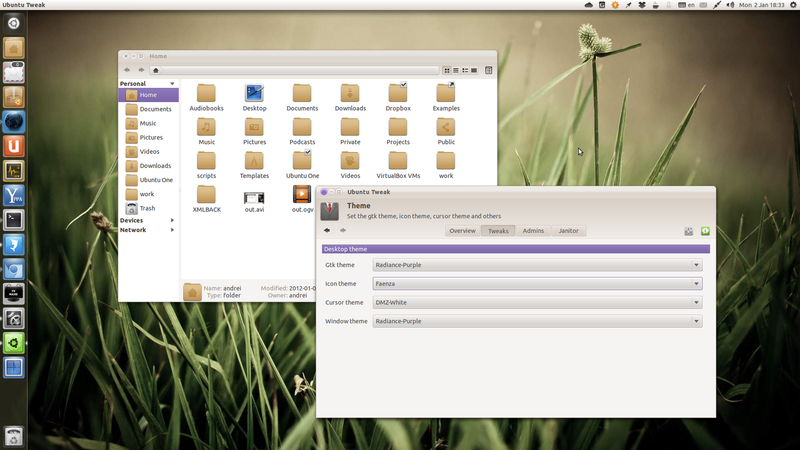 The pack comes with GTK2/3 as well as Xfwm4 and Openbox themes and the GTK themes should work on Ubuntu 11.04 or newer (as well as other Linux distributions such as Fedora 15, etc.) 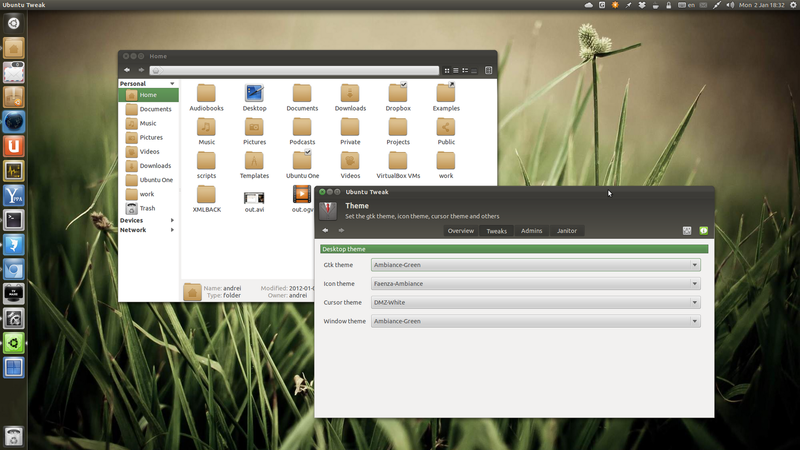 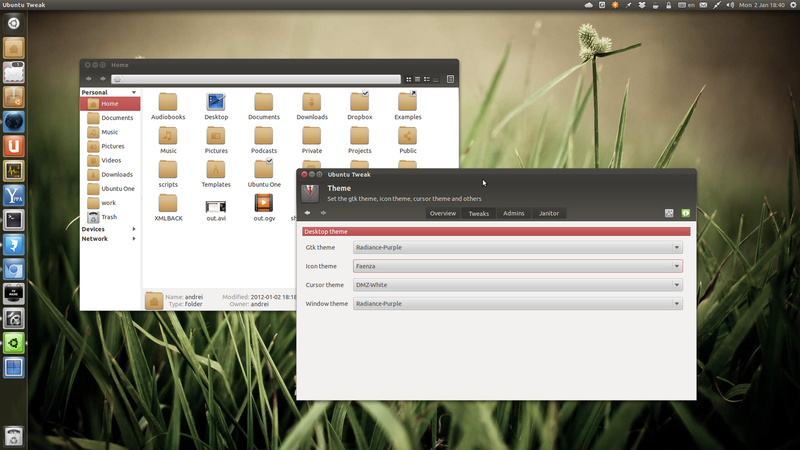 while the XFCE themes should work on Ubuntu 10.10+. There's no GNOME Shell theme yet unfortunately (if you want a complete GTK2/3/GNOME Shell Blue Ambiance theme, try Ambiance Blue), but the Ambiance & Radiance Colors developer is working on it. 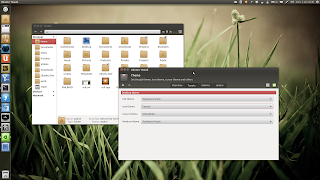 To use the themes in Ubuntu 11.04+, download the archive (see download link below), extract it and copy all the Ambiance/Radiance color folders under ~/.themes (or /usr/share/themes), then use GNOME Tweak Tool or Ubuntu Tweak 0.6 to apply one of the new themes.